I am Melanie Martin of Melanie Martin Interiors! I have been styling the homes of the south eastern United States for over 25 years! I want to start by welcoming you to my blog space and introducing myself. I live on the gulf coast with my husband Mike. Moving to Orange Beach, AL almost 30 years ago I have had the opportunity to witness the amazing growth of this area and recognize this in my own business as well! 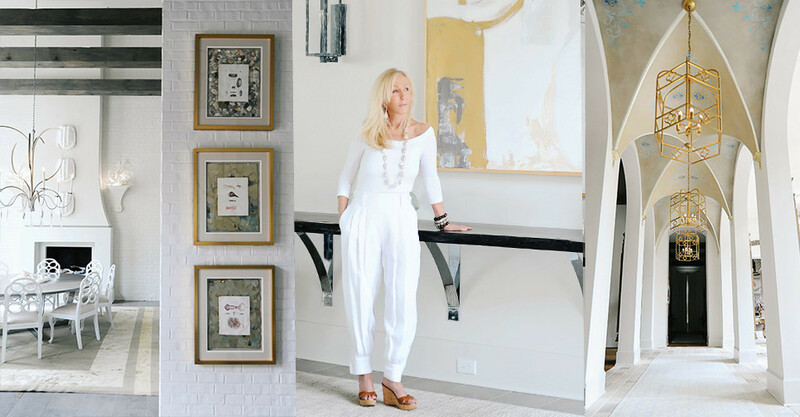 I started Melanie Martin Interiors after I discovered the lack of interior design firms in the lower gulf coast areas. There was an abundance of furniture stores here, but no interior designers. With residential properties being a comfort zone for me I expanded my brand to commercial design and accepted my very first condominium project. Though I love working on multiple story commercial properties my heart is still with helping clients capture a lifestyle in their beautiful home. I find such joy in designing a space that is a reflection of my client, their style and sense for living. My main objective is comfort and ease, the ease of living well. Simplicity and luxury you can take for granted. I insist on perfection, timeless style and classic glamour. One of the joys and benefits of my business is travel. I love the thrill of the hunt, gathering objects from all over the world, and passing them on to my clients. This is my Passion! Now that I have properly introduced myself I want to start off my very first blog post featuring a project that was the most challenging for me to date-my own home. When my husband and I purchased the 4 acre lot nestled at the point of Ono Island in Orange Beach, AL we had not yet made design plans for a house. Mike and I envisioned had a home that would become one with the serene surroundings of water and sand. Now, 15 years later we are still just as in love with our home as we were when we spent our first evening in it! I pride myself on my ability to create a timeless interior style that defies trends and fads, but remains classic through the years. I have only recently changed a few details within my home to freshen the look up a bit! Here are a few of my recent updates and I will link an article by Coastal Life Magazine that featured my home prior to the updates below (http://melaniemartininteriors.com/collections/mel-s-home). I hope you enjoy the photographs and please feel free to comment/inquire about any of the products I have displayed in the photos! Look forward to reading your blogs and seeing all of your gorgeous photos! WOW these pictures are phenomial or I guess it’s your talent that is. I had the pleasure of meeting Melanie Martin and her husband Mike recently at their home. Her work is charming, breathtaking and comfortable all at the same time. She is a talent and a joy to visit! I have known Melanie for over 30 years. Personally and later professionally calling on her store as a sales representative for Brewster and Seabrook Wallcovering. Not only is Melanie the epitome of style and class but she is without a doubt one of the most talented interior designers I have ever met. Her eye for color and design is amazing. Beautiful! Known Melanie all my lie. ( our mothers were best friends.) she has had this talent all her life! Love you Melanie! Melanie happens to be my mom as well as an amazing designer . she has taught us to listen to wonderful people and to learn from them … She has taught us a great sence of style as well… How to set a table , how to address your guests, how to be welcoming and warm. My mother is the true sophisticated southern lady and everyday I learn from her. Mom your sense of style abounds and thank you for sharing it !!! !